The city evacuated buildings beside an embattled former schoolhouse after discovering cracks in the building, according to fire and building department officials. Inspectors and engineers with the Department of Buildings (DOB) are investigating cracks at 350 East 10th Street’s facade after a 311 call Wednesday morning, a building spokesperson said. The discovery prompted fire officials to evacuate two neighboring apartment buildings—362 and 348 East 10th Street—as a safety precaution, a fire department official said. The cause of the cracks was not immediately clear, according to DOB. No injuries were reported and a Con Edison crew is also on the scene, said FDNY. The building’s owner, Gregg Singer, said “it was all a bunch of nothing” and charged opponents to his plans for the building with creating a fuss over nothing. Singer has sought to transform the controversy-laden building, which has sat vacant for more than 20 years, into college dormitories. But neighborhood groups and elected officials have long fought the project and insist the building be converted into a community center. The city once owned the building, which became known as the CHARAS/El Bohio Community Center, but sold the property to Singer in 1998. 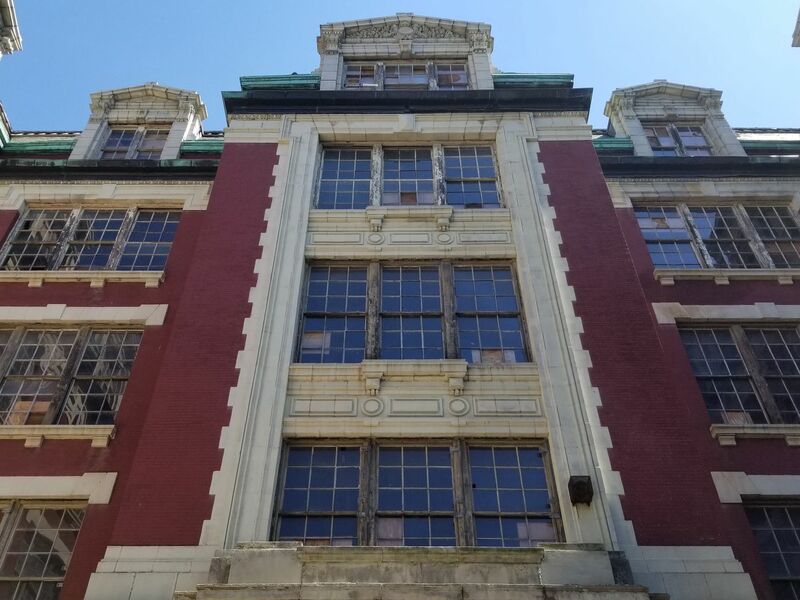 At the time, activists railed against the city’s plan to sell the parcel, but the auction went ahead and Singer acquired the building for $3.15 million. In October 2017, Mayor Bill De Blasio stoked hopes that the parcel could convert back into a community center when he announced, shortly before the mayoral election, that the city aims to reaqquire the building. The city took little action for several months and in August 2018 Mayor Bill de Blasio told reporters that the city has “tried to have a productive conversation about purchase” but that he is “very frustrated with that owner” who the mayor claimed was stone walling the city. Singer shot back saying that he “was astonished at the brazenness of the mayor’s lie” and said he had heard no word from the mayor’s office since his 2017 announcement. In the meantime, Singer has been unable to move forward with his plans to turn the building into dorms after the city concluded that the proposal violated what is commonly referred to as the city’s Dorm Rule and served the site with a stop work order that remains in place, according to the city’s Department of Buildings. Singer is in the midst of suing the city to develop the land.